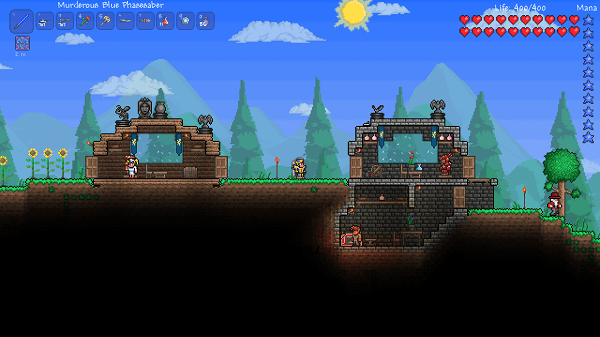 Publisher 505 Games has announced release dates for the console versions of the 2011 indie hit Terraria. The game will be out on the PlayStation 3 on March 26 and the Xbox 360 on March 27. Developed by Re-Logic, Terraria is a 2D side-scrolling action adventure game. The world of Terraria is an open sandbox that lets players build and create as they please, explore caverns and collect items. Like the original release, the game will feature online multiplayer. Plus, new content has been added specifically for the console release, including a new local co-op mode. Terraria was first released on PC via Steam back in 2011. Since then, it has sold over 1.6 million copies.